The focus of this calling of Samhain’s energy is one of transformation. The heat of the Solar light flowing as the Scorpio Sun rises from its sleep in the dark caverns and embraces the Sun as the Phoenix rising. Visually, by the time we reach the end of the first seven days of November, the darkness crowds in more quickly, a sign that the energy is gaining momentum as it gathers what is needed to call forth the light at the Winter Solstice. 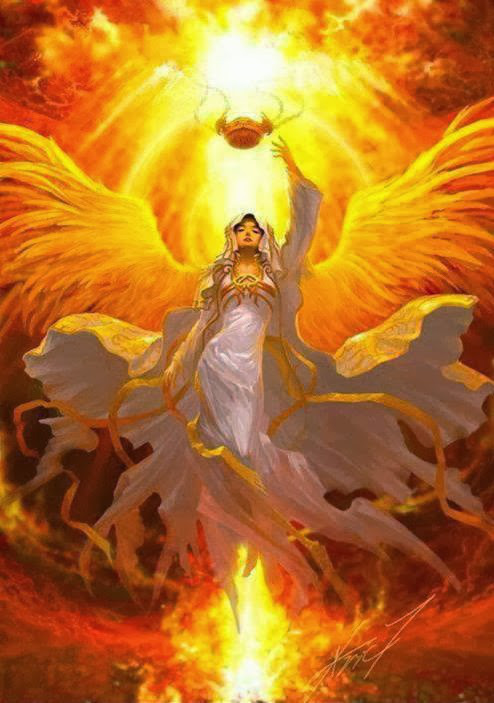 This is the opportunity to gather that light within, to call upon the gifts of accessing the wisdom of what lay beyond the veils of our human experience and allow its power to light the fires within the space of our human form. We open our awareness and our consciousness to the potential of what awaits us within these solar gates. Read More here at…….